At the end of your 36th week, your baby’s skin is now becoming free of wrinkles with no slack. A tiny face is now perfectly circular as little muscles have matured, and sucking will soon be required in providing nourishment upon delivery. Your baby’s skull is supple and pliable and will remain so until delivery. Your baby’s other bones continue to solidify. Movements may or may not become less defined as specific punches and kicks, they can feel more like twirls, twists and jiggles. However, please be sure to pay close attention to these movements and always trust your instinct. Continue movement counting ideally three times a day. Your baby’s movements should still be occurring every hour and should not decrease in number. Keep in mind that you are looking for anything different from your baby’s usual and normal routine. If a variation is noticed, call your health care team and make a quick trip to L&D to make sure your baby is well. Your baby is now tipping the scales at around 6 pounds. 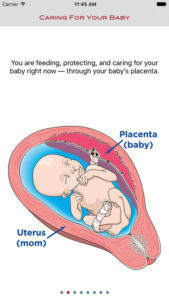 Request an additional ultrasound now to examine the umbilical cord and placenta for normal development and position. If your ultrasound is not covered by your insurance, use your Pregnancy PUR$E to help fund this test. Dr. Collins believes an ultrasound at this time could detect a potential problem, making it a useful proactive pregnancy tool. The umbilical cord is a definite risk factor during the later part of your pregnancy and could compromise your baby. As mentioned in Week 28, UCAs, including nuchal cords, true knots, twists, torsion, kinks and long or short cords, account for 16 percent of the 26,000 yearly deaths in utero in the USA. That is at least 71 untimely deaths each and every day in our country. Dr. Collins states a UCA is not a “rare condition or event” and should be watched for especially in the last trimester of pregnancy. If a problem is seen on your baby’s ultrasound with the umbilical cord or placenta, a plan of action needs to be decided upon with your health care team. 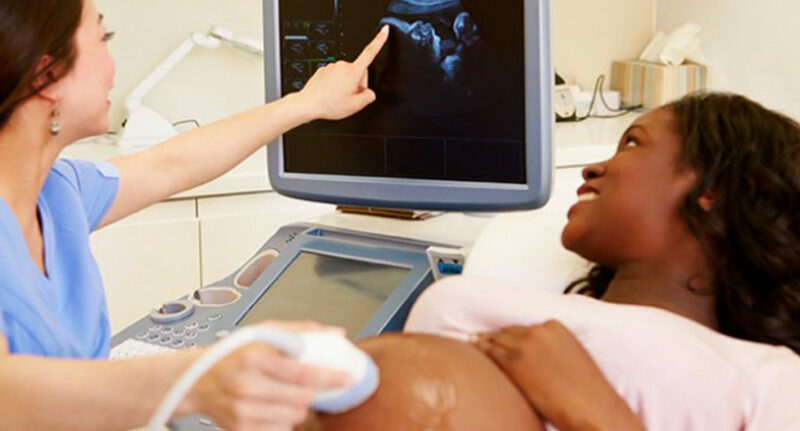 Examples of close monitoring include repeat office visits, ultrasounds, Fetal Non-Stress Tests (NST), Biophysical Profiles (BPP), Cord (blood flow) Doppler tests, very diligent movement counting and daily home fetal heart rate monitoring offered by companies such as Genesis Obstetrical Home Health Care Services. If you and your health care team determine your baby should have further monitoring following your 36-week ultrasound, or you are considered high risk, don’t panic! Remember, it is comforting and reassuring to know your baby is healthy and stable thanks to the frequent monitoring. The four main reasons for monitoring your baby are to ensure that your baby is comfortable in utero, to ensure that your baby’s heart rate is normal and steady with no significant decelerations (decels) present, the placenta is working efficiently and not appearing to be aged, and to ensure that there are no signs of preterm or premature labor present. And continue movement counting three times a day until your baby arrives.